On Tuesday, 30th of October (Week 3) we hosted another successful Parents’ Meeting at our school. The meeting was well attended by 51 parents/caregivers from 14 different cultural and language groups, representing the wonderful diversity of our school. It also afforded them a fantastic opportunity to participate in our learning community and to engage with other parents and families. At the meeting, our families listened to an informative presentation by Erika von Aspern (IEL Program Manager, Department for Education) on the expectations and challenges of education in South Australia. The families then enjoyed a delicious lunch, followed by a discussion with the visiting delegates from the Council of International Schools and the Department for Education that also attended. The feedback that the visitors received about our school from the families was overwhelmingly positive and enthusiastic, reflecting the hard work that our staff do every day to provide a safe, positive and engaging learning environment for our students. Once again, we thank our parents/caregivers for taking the time out of their busy lives to attend the meeting. Our next Parents’ Meetings will be held in Term 1, 2019. Once again, the team from One Culture Football attended our school this Monday (Week 2). 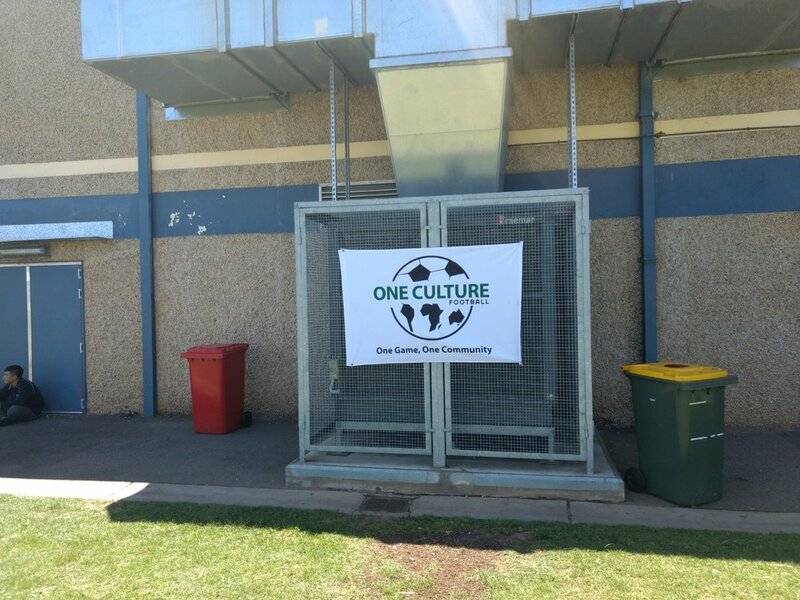 One Culture Football have a close partnership with our school and its community. They provide a fantastic service to our refugee and migrant communities that supports their successful and active transition to life in Australia, while fostering their skills, enthusiasm and passion for the ‘World Game’. Last Friday (Week 4), several students from our school who aspire to careers in the trades (plumbing, electrical/mechanical engineering, hospitality etc) attended an interactive, online workshop provided by the Beacon Foundation. During the Beacon Industry Live session, students learned about and discussed life in the trades, apprenticeships and the importance of improving their literacy and numeracy for their career choices. The students enjoyed the event and had a fantastic discussion about their future pathways. On Friday the 27th of July, students from our school participated in Planet Ark's National Tree Day. The students planted a variety of indigenous Australian trees and shrubs along the edge of the school oval. The students had a wonderful time and worked very hard. Thanks to Charles Sturt Council for their help supplying the trees and CMI Toyota for providing a delicious BBQ for our students to enjoy. On Monday the 21st of May, students from Classes 2 and 11 participated in the first Beacon Collaborative Classroom. The students had the opportunity to work closely with Will Hannaford, a Project Manager from the Natural Resources Management Authority, an agency of the Department of Environment and Water (DEW). The project is part of our school's ongoing working partnership with the Beacon Foundation and is known as the Collaborative Classroom. Classes 1, 11, 17 and 25 visited Flinders University on March 29. The students participated in a workshop about education where the students formed opinions about youth issues such as the legal drinking age in Australia. In the medical science workshop, some students volunteered to participate in a role play between doctors, scientists and patients to investigate the symptoms of a disease. Animal fossils were presented to the students in the paleontology workshop which had students guessing which animal the fossil belonged to. The students enjoyed the chance to chat with some university students about their courses and career choices and find out more about university life. On Wednesday the 28th of March (Week 9), our school hosted another successful Mother’s Meeting, supported by the Department for Education’s ‘Parents in Education’ (PiE) initiative. The program aims to involve mothers (and caregivers) from a range of cultures in our school community, providing them with a forum to discuss community and school-based issues. As part of the day’s programme, parents enjoyed lunch, posed questions and discussed a range of school and community related topics with our Principal (Anti Macri), Community Partnerships Coordinator (Thomas Parkin) and Community Liaisons (Bushra Rasheed, Jian Ali and Bala Bhattarai). The next PiE meeting will be held next term (Week 8). On Friday the 9th of March (Week 6), our school held a casual day to raise funds for the Brien Davies Fund and CanDo4 Kid. CanDo4Kids is one of South Australia's oldest charities, doing vital work in our community to support children with sensory impairments, such as blindness and deafness to achieve their full potential. It was a fantastic, fun and colourful day and continued our school's strong commitment to helping and giving back to the wider community. Each March, the UN Women National Committee (NC) Australia hosts Australia’s largest International Women’s Day (IWD) celebrations. IWD is a global day celebrating the economic, political and social achievements of women. It is also a day to consider how far women have come in their struggle for equality, peace and development, and the work that still needs to be done. Several of our students (and teachers) were lucky enough to attend this year's breakfast at the Adelaide Convention Centre, celebrating women and girls in our community. On Friday the 2nd of March, classes 1, 5, 9, 10, 12, 13, 18, 24, 27 and 35 participated in Clean Up Australia's school and community clean up. Classes 10, 13 and 27 did a fantastic job cleaning up in our local community, with classes 13 and 27 concentrating on the streets around our local suburb (West Croydon). The classes who cleaned up our yard and oval also did a fantastic job and worked very hard to make our community a more environmentally friendly, clean and tidy place to learn. Students and teachers planted 120 indigenous trees and shrubs for National Tree Day on Friday July 24. For many students this was their first experience planting trees. We are proud of our school grounds and every year our tree-planting has contributed to beautifying the campus. Trees also provide environmental benefits, amenity for the school and local community, and a habitat for native birds, animals and insects. Our sponsors provided a delicious free BBQ for the school community to celebrate our efforts. Adelaide Secondary School of English students were awarded a special merit prize in the Secondary Schools entry category of the 2013 Botanic Gardens tomato sauce-making competition. The students produced a special tomato ketchup sauce that was, according the judges, a “modern, multicultural interpretation of tomato sauce” and deserving of a special prize. Several students and staff attended the award ceremony at the Botanic Gardens on 24 February to receive the prize. This is the second year that ASSOE has won this prize for the tomato sauces made from tomatoes, onions and garlic grown by the students themselves in the school horticulture program. Well done to everyone involved!